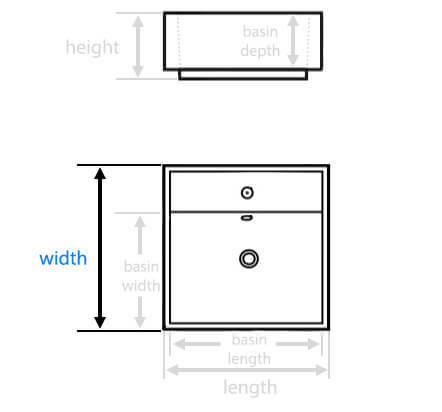 In three configuration, what are measurments between holes? 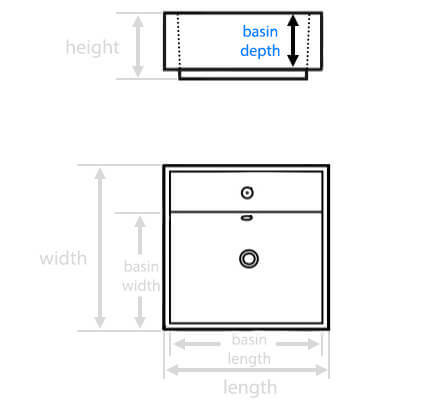 For the 3 hole configuration the spread is 8". is there a slightly smaller version of this sink available? 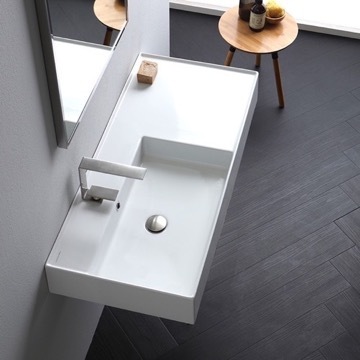 Unfortunately, we do not have this sink in a smaller size. 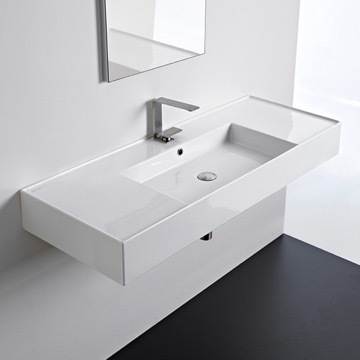 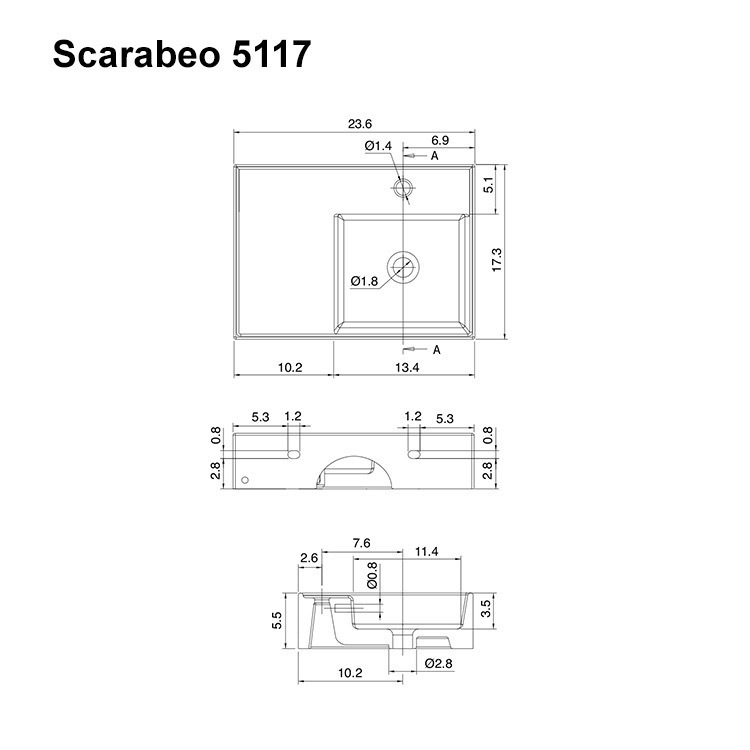 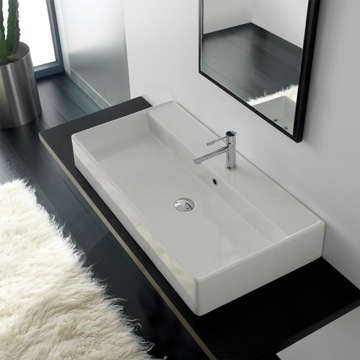 The most similar sink to this one in a smaller size would be the Scarabeo 1523. 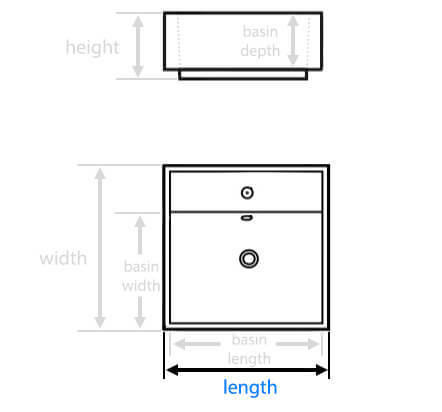 What are the specifications for vessel install? 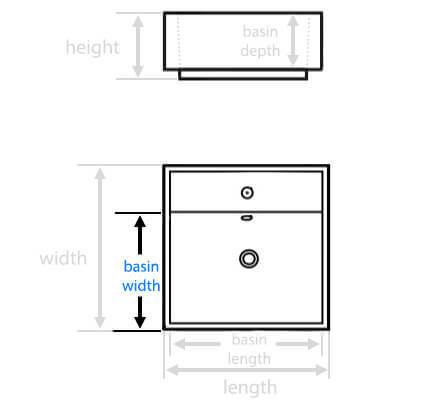 Does sink fit snug up against the back wall? 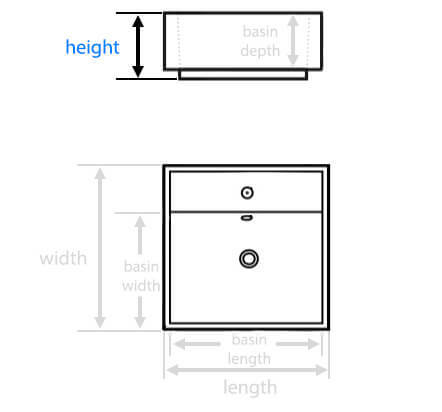 Can it be used with a cabinet? 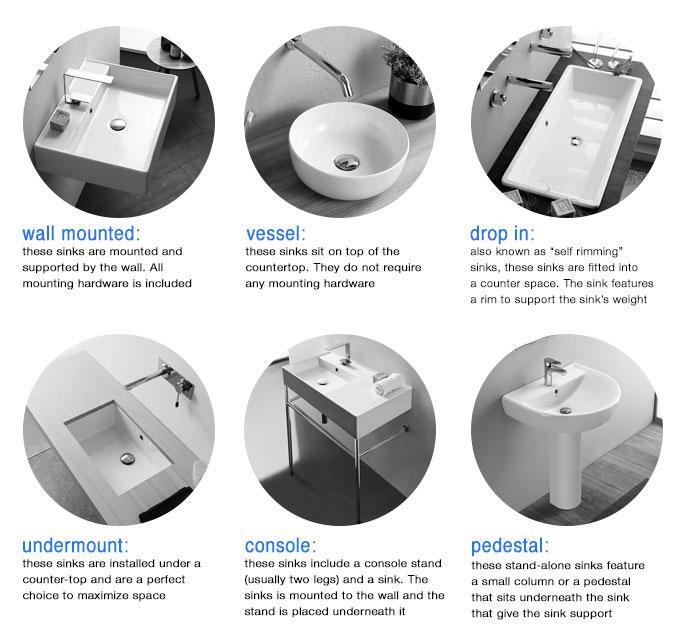 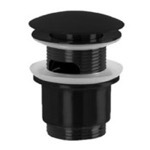 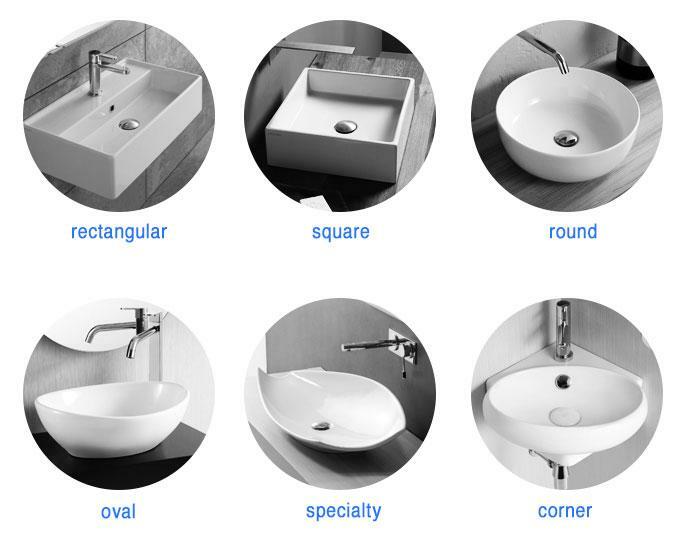 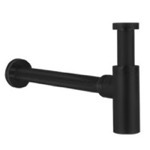 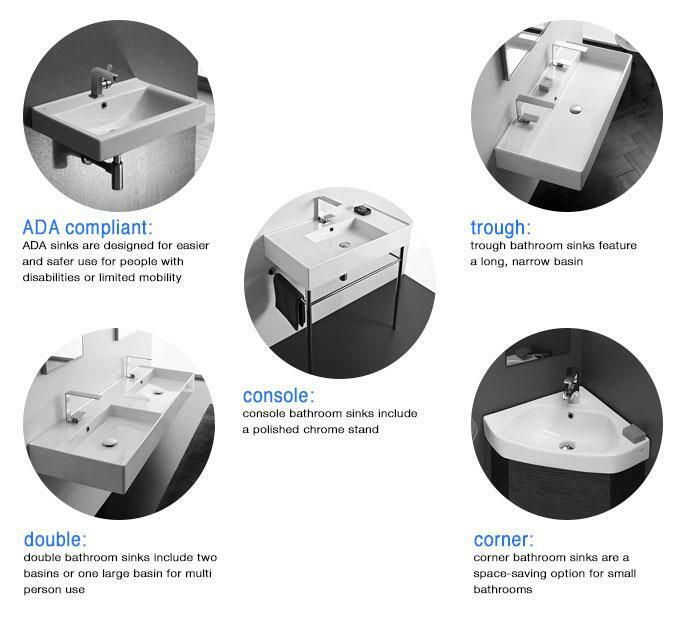 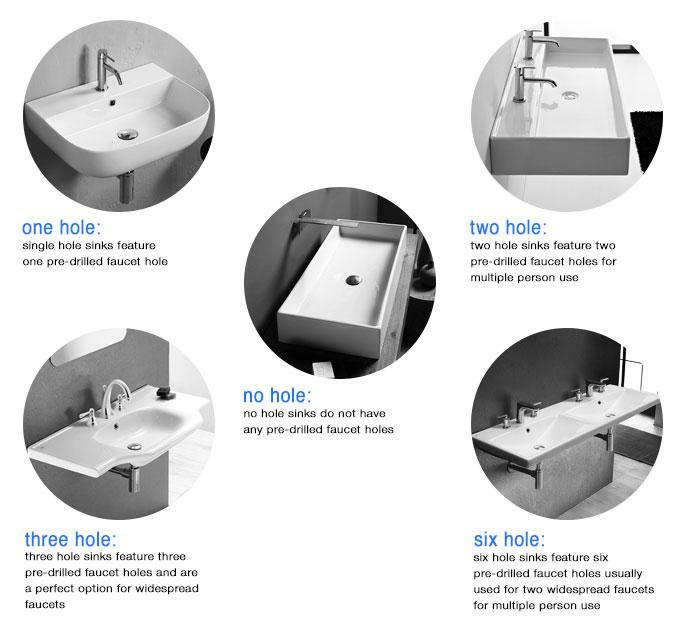 Vessel sink installation instructions can be found in the "Info and Guides" section below the "Technical Specifications". 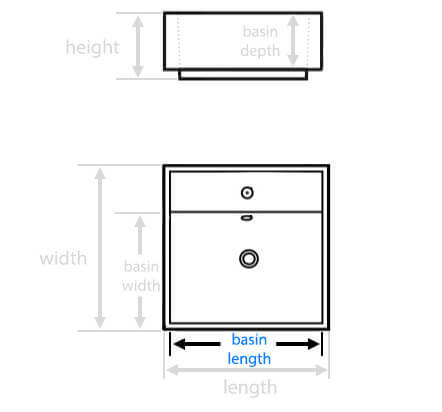 The back of the sink is flat and will fit against a wall. 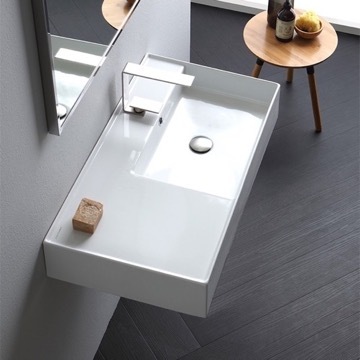 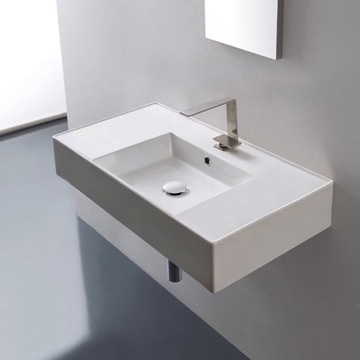 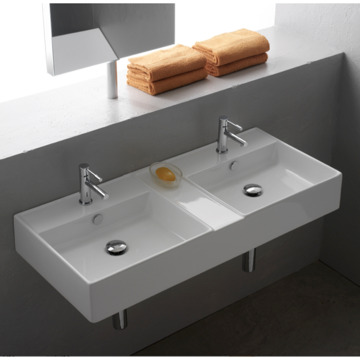 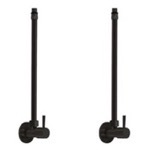 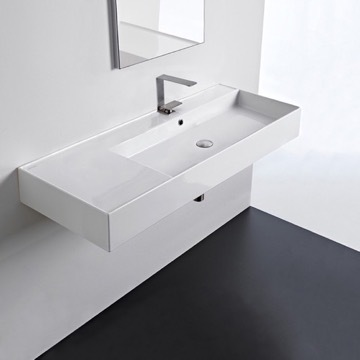 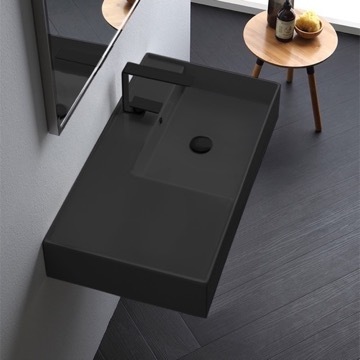 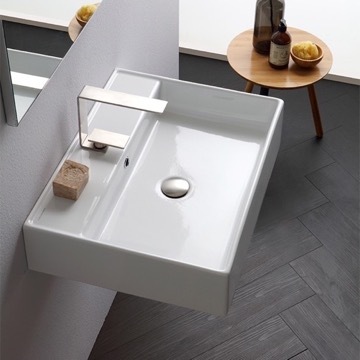 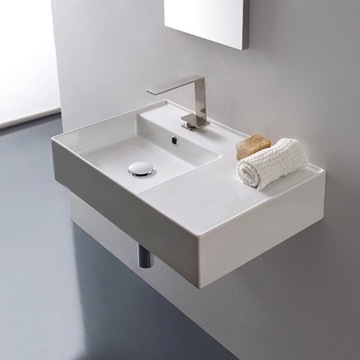 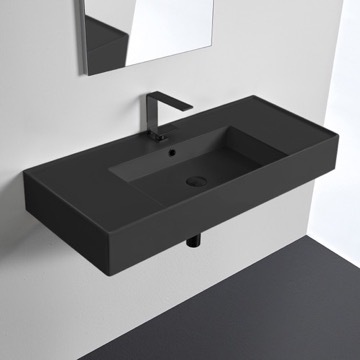 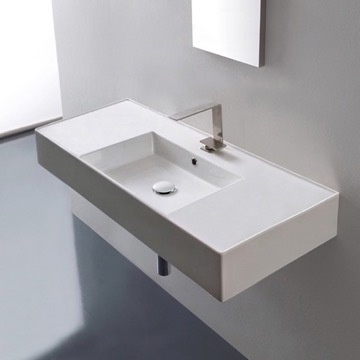 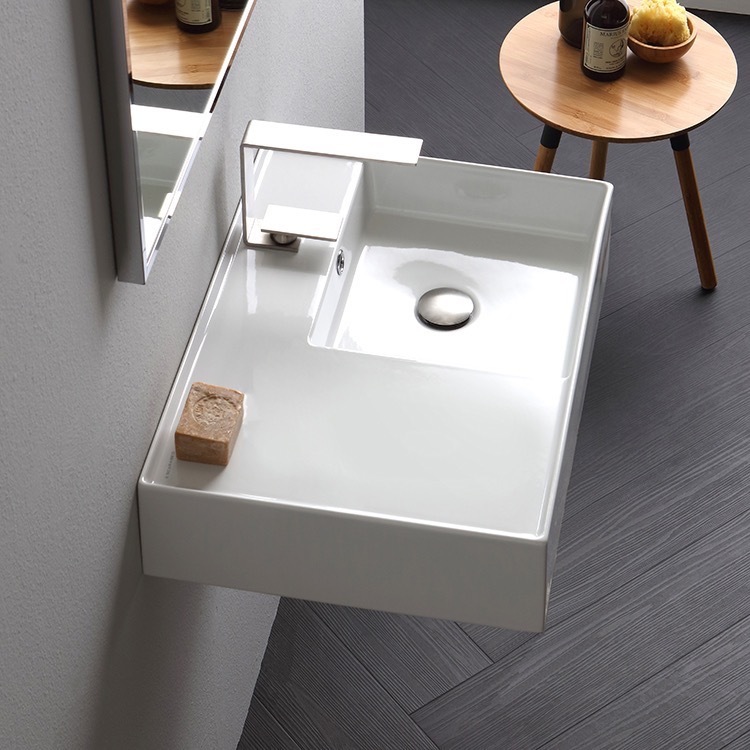 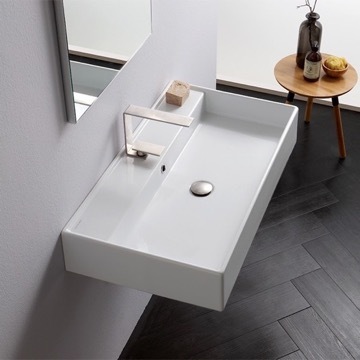 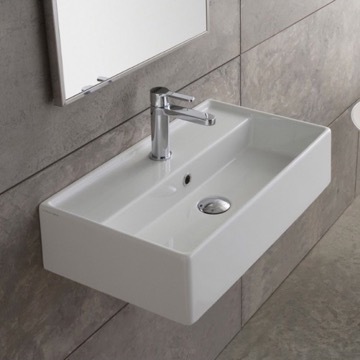 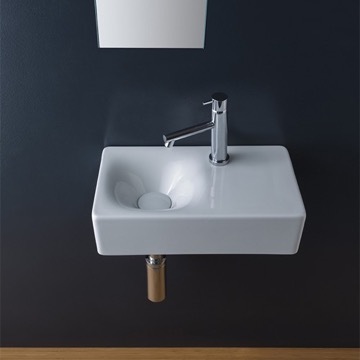 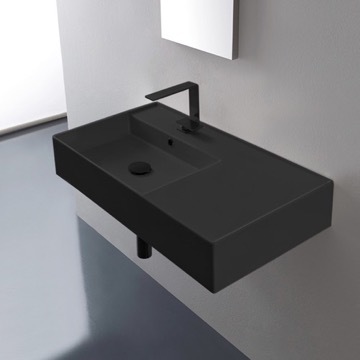 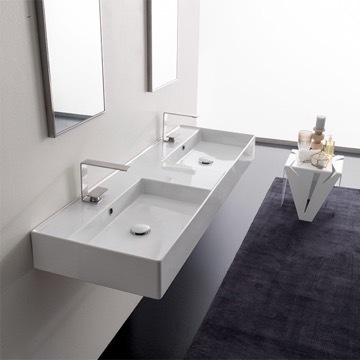 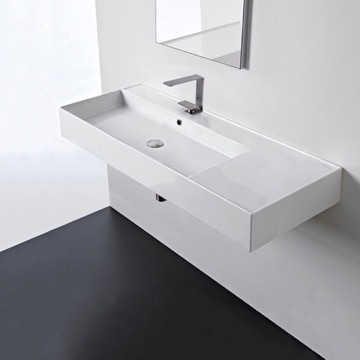 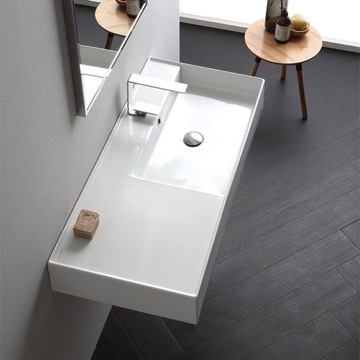 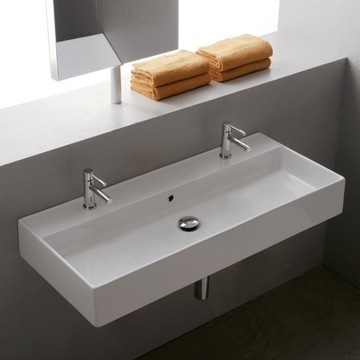 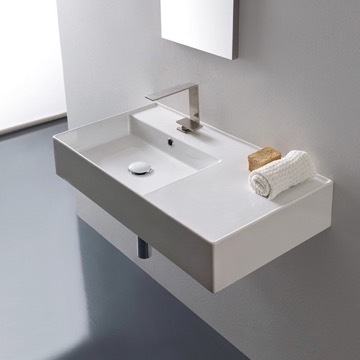 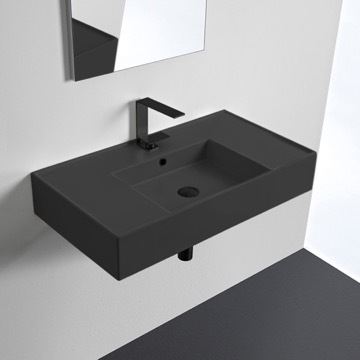 The sink also can work with a cabinet, though we currently do not have a cabinet pre-fitted available for this sink, any cabinet larger than the sink's size can work in a vessel application.